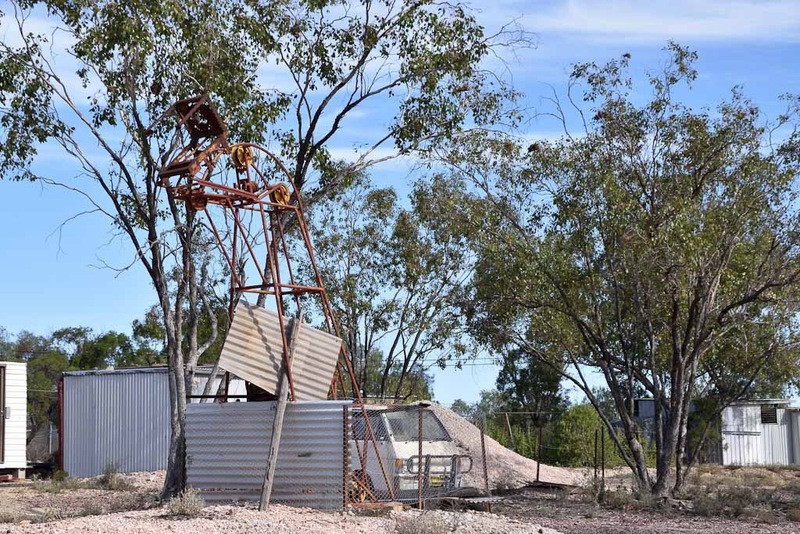 Lightning Ridge is unique. Seven hundred kilometres from Sydney it feels like the outback but in Australian terms of distance it isn’t, really. An ironstone ridge rising from a floodplain it attracts lightning and thus the name.The Ridge is an opal mining town where people live above ground usually beside their mines. 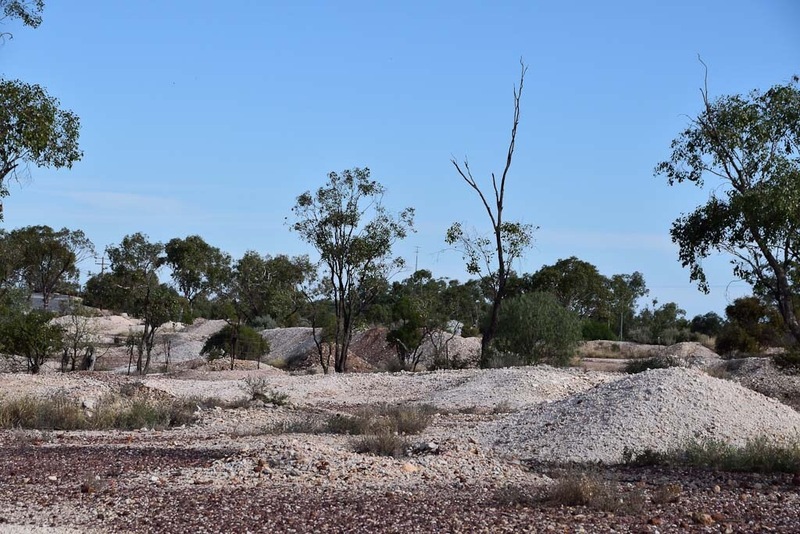 Unlike the opal towns of Coober Pedy and White Cliffs where they prefer to live underground because of the hot climate and the dry air in their mines. To the tourist it is a town of characters and eccentrics and never knowing whether the scruffy bearded guy in the clapped out ute could really afford a Rolls Royce. According to the rules a mining lease is for mining, not living on but if you’ve got a hole in the ground that may or may not contain riches beyond belief you wouldn’t want to leave it unattended at night now would you? Which explains the strange living quarters built from tram carriages, used corrugated iron, stone and beer bottles. This is recycling at its best. Opal dirt here is white in colour so every lease has ant hill like white mounds with rusted iron structures atop to haul the 44 gallon drums of dirt to the surface. This may sound like the description of a junk yard and indeed that’s what a lot of the mining lease areas around The Ridge look like but somehow you can’t help but fall in love with the place. The hot dry days, the cool nights and the colour of the sky at sunset leaves you captivated. Yes this crazy town has won me over and I haven’t even told you about the indescribable beauty of the black opals. and you have to get your own water! Never been but read many articles on it. Sounds well worth a visit. It’s a must do. Crazy town, one of those places where people come for a day and never leave. Yep, we’ll get there one day. We’ve been close but never made it. I’ve been told it’s like Coober Pedy before that place was “gentrified”! No I don’t think so I first saw CP a long time ago before bitumen. They are sort of different. I think quite a lot of people who liked anonymity left Coober Pedy and went to Lightning Ridge when the place attracted too much interest. Yes probably. Have you been to White Cliffs? 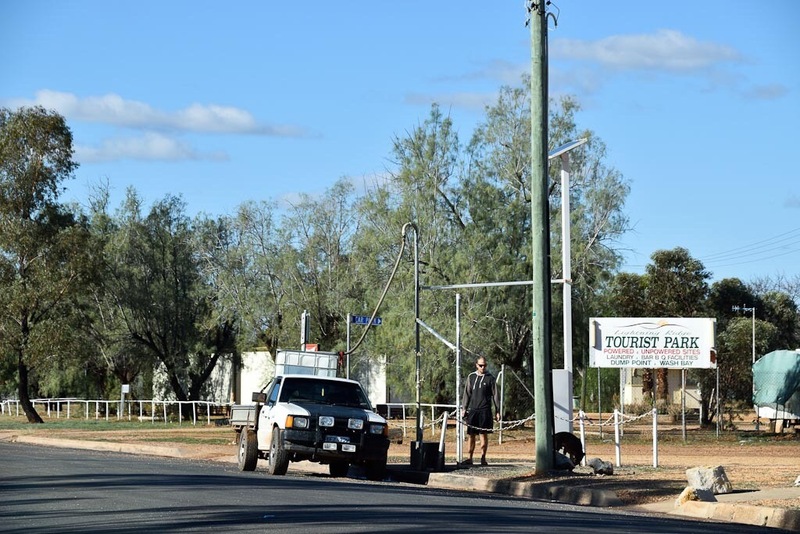 It seems Lightning Ridge is a long way from gentrification. Fascinating. I’m looking forward to going there next year. I nearly got there by accident when took the wrong road and ended up in Coonamble instead of Coonabarabran. Unfortunately I had to get back to work so couldn’t keep detouring in the direction of Lightning Ridge. I’ve got all the time in the world now, so there’s no excuses! Ah the luxury of retirement is being time rich.